Enclave has gone dark. Nicaraguan cigarmaker A.J. 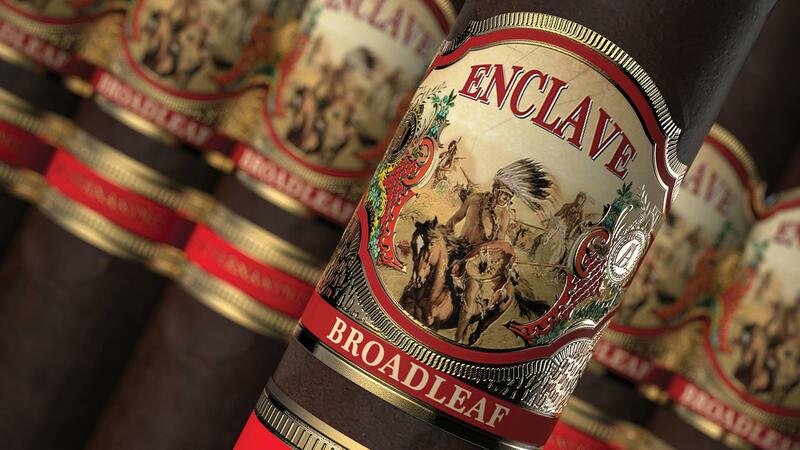 Fernandez has launched a follow-up to his original Enclave brand called Enclave Broadleaf. This is the first time Fernandez has included a broadleaf-wrapped cigar as part of his own portfolio. (He has blended with broadleaf to create brands for other companies in the past). Enclave Broadleaf launched nationally to all retailers at the International Premium Cigar & Pipe Retailers trade show last week in Las Vegas. "This is the first cigar from our portfolio that uses a Connecticut broadleaf [wrapper]," Frank Santos, marketing director of A.J. Fernandez Cigars, told Cigar Aficionado. Underneath its dark, Connecticut broadleaf wrapper, Enclave Broadleaf contains a Nicaraguan binder and Nicaraguan filler tobacco from Pueblo Nuevo, Estelí and the Jalapa Valley. The cigar is available in three sizes: Robusto at 5 inches by 52 ring ($8.50); Toro, 6 1/2 by 54 ($9.00); and Churchill, 7 by 52 ($9.50). According to the company, Fernandez was inspired to create Enclave Broadleaf after the Enclave Churchill earned a spot on Cigar Aficionado's Top 25 list of 2016. "A.J. was smoking the original Enclave after receiving [placement on] the Top 25 last year, and wondered what it would taste like with Connecticut broadleaf, which surprisingly he seldom uses, and he absolutely loved the taste," Santos said. The original Enclave Churchill ranked No. 20 on Cigar Aficionado's Top 25 Cigars of the Year list. Like its predecessor, Enclave Broadleaf is rolled at A.J. Fernandez's Tabacalera A.J. Fernandez Cigars de Nicaragua, in Estelí, Nicaragua.